22 Uplights surrounding the entire room, including the balcony, head table, cookie table, and cake table. 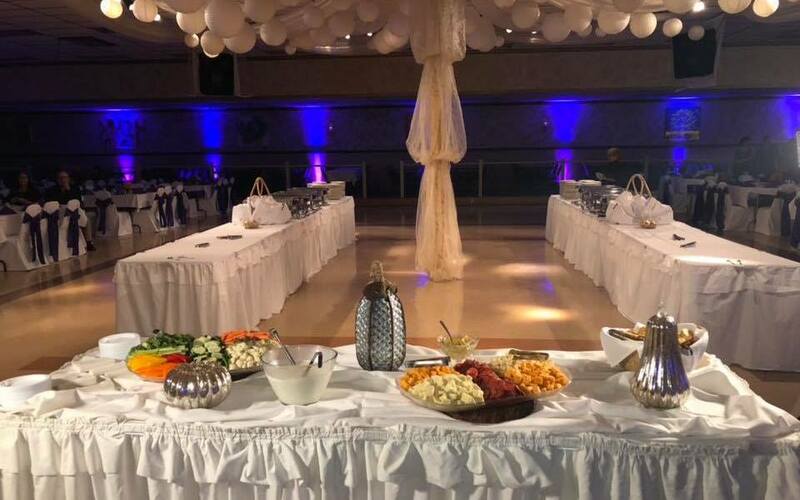 10 uplights behind the head table, gift table, and cake table. 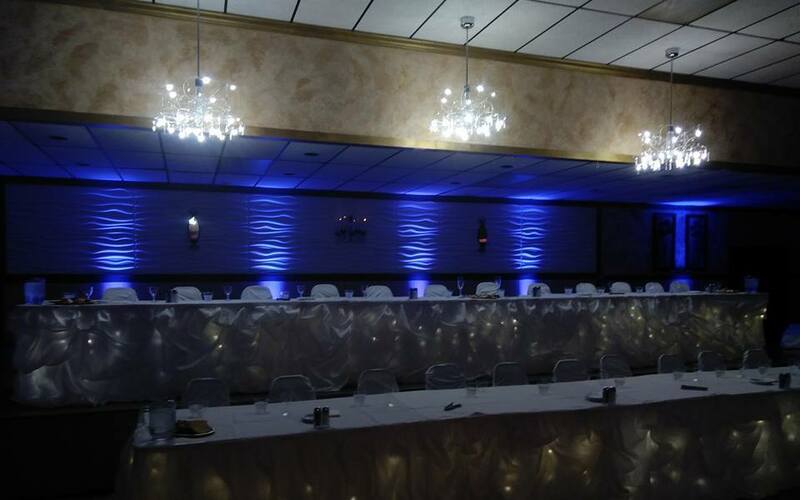 5 uplights behind the head table to put you and your bridal party Center Stage. Choose from one signature color or alternate accent colors can be selected. Match your gowns or accent with a complimentary color. Custom colors can be made! All lighting is cordless, so no clumsy cords for your guests to trip over. We take all the worry out of lighting. No dealing with an outside company. That’s one less worry in the wedding planning process. No added set-up fees. Just one straight price. 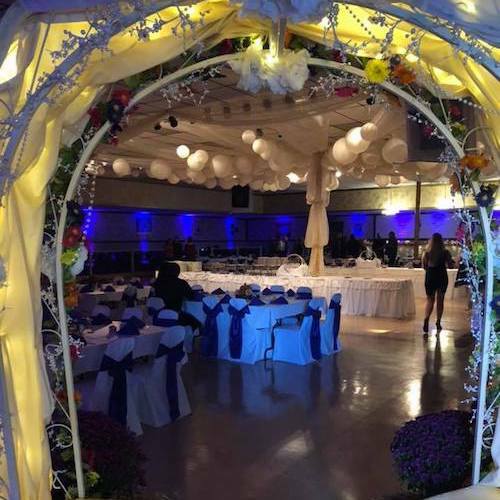 Uplighting packages can completely transform the room with an almost unlimited number of color options to choose from. 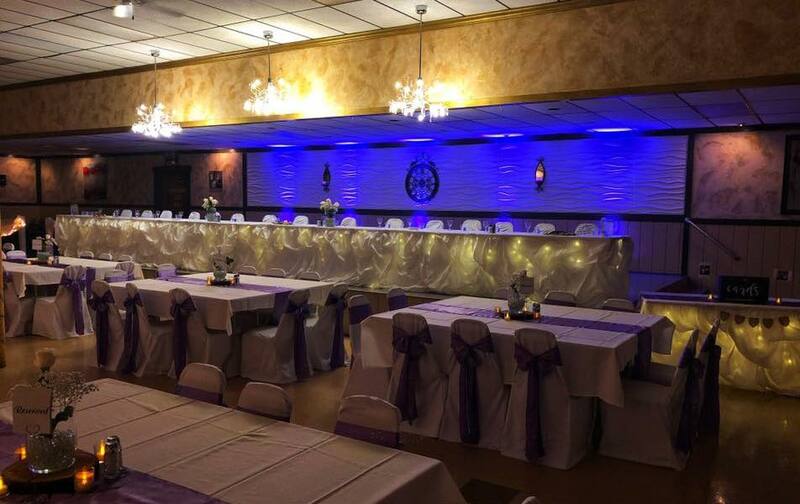 Don’t forget about adding your uplighting package to make your special day shine!